Platinum Dent Repair, LLC is committed to delivering high quality paintless dent repair for your vehicles that will fit your budget and your busy schedule. We offer a mobile dent repair service that will come to you - home or office! We offer our services throughout Southwest Florida. From very small to larger dents, our PDR technique is done with skill and professionalism while, you, the customer, save time and money. 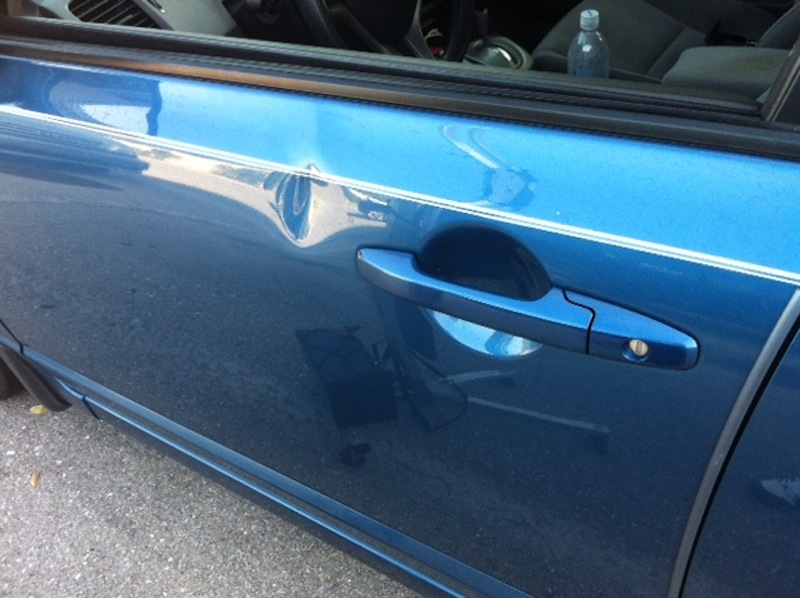 Platinum Dent Repair, LLC is based out of Fort Myers, Florida. 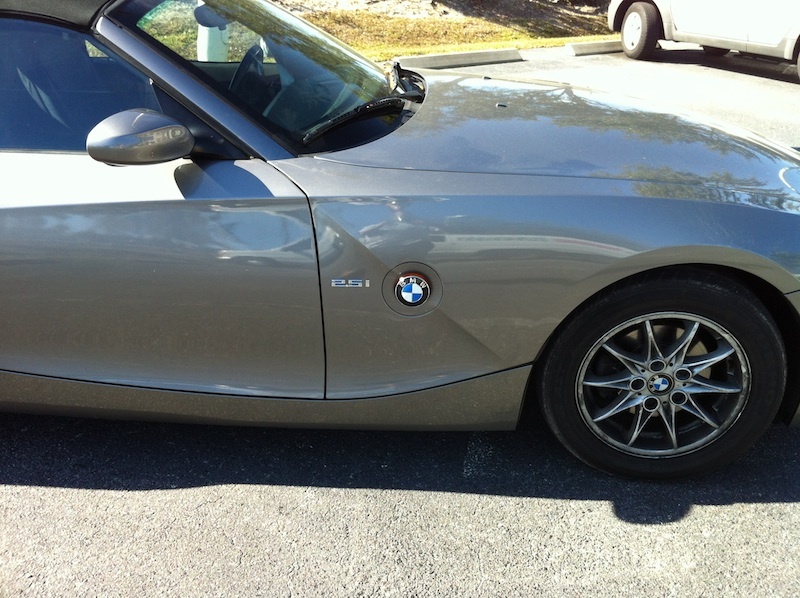 We are proud to provide our paintless dent removal services to SWFL! We are pleased to be able to bring this innovative technique to our locals! Our technicians are well trained in their field and specialize in hail damagerepair. They have extensive knowledge and training in their trade and are highly proficient. They are devoted to giving fast and courteous service to our customers. They are also continuously educating themselves with the newest techniques to ensure the standards you expect. We take pride in the quality of our work and satisfaction is our guarantee! Let Platinum Dent Repair Service Your Hail Damaged Vehicles! Our technicians are trained in dealing with large hail damage on vehicles. Paintless dent repair is the most affordable and effective way to repair any hail damaged vehicles. Instead of taking your vehicle to a conventional body shop which could take days to repair your vehicle, why not contact a paintless dent removal expert to do the job? Our technicians are precise and detail oriented as well as quick and professional. They are here to make sure that your vehicle comes out looking as good as new. Let us help you get back on the road! You may be asking yourself, "My car is damaged, what now?" 1. It may not seem like the damage is severe enough to call the insurance company to file a claim, but what a lot of customers don't realize is that the hail damage may actually cost you thousands of dollars to repair. Because the damage to your vehicle is due to a natural cause, turning in a comprehensive claim to your insurance company will not hurt you or your deductible. We suggest you speak with your insurance company before taking any action to repair your vehicle. We also suggest you ask your insurance company if you have rental car coverage. This will allow you to have a vehicle while yours gets repaired. 2. Once the insurance company is contacted, they will send out an adjuster to estimate the damage on your vehicle. This is just an estimate of how much the damage will cost, not necessarily the actual total amount of how much the damage is really worth. If you chose to contact Platinum Dent to repair your damaged vehicle, we will make sure to stay in touch with your insurance company and work hand-in-hand with them to make sure your vehicle is properly repaired. Our technicians will go over the vehicle and use the insurance estimate as a guideline and make sure that all damaged were reported on the estimate. As trained PDR experts, the techs will make sure your vehicle will be road ready in no time. 3. For customers that do not have insurance or do not want to file a claim, you are welcome to contact us for a free estimate at any time. Remember: it is your choice as to where to take your vehicle for any repairs. A: It's a technique used to remove dings and dents from automotive exterior panels with out the use of paints or fillers. Q: How much should I expect to pay for paintless dent removal? A: Paintless dent removal is usually one-third of the cost of conventional autobody shops. Q: Can you come to my home/office to do the repairs? A: Our services are completely mobile and for your convenience we come to you. A: Two best ways to contact us are by e-mail or phone. You can also use our Contact Us form and attach a picture of the damaged vehicle for a faster, accurate estimate. Q: Can any damage in any area of the vehicle be repaired? A: Unfortunately, not all dents can be removed with paintless dent repair. Location and severity of the damage can be a deciding factor if we can repair the damaged area or not. A: We accept Checks or Cash. Q: Do you stand behind your work? A: Yes. At Platinum Dent Repair your satisfaction is our number one priority. Q: Are there any travel fees? A: Depending on the location of service, Platinum Dent Repair may add a travel fee. We will inform you of the fee during your consultation. What a great job - Thanks so much for making my mini look like new. Great timely service, excellent technicians. Hope i don't need you again to soon! Have a good summer. Naples Peeps i recommend these guys. Brad, I want to thank you for the good service. I am very happy with the final product. I know it was not an easy job. Thank you very much for coming out to Naples to fix my Cadillac. Your technician was very friendly and professional. My car looks fantastic!! Jake was on time, as promised. he did an incredible job as he and I chatted throughout the process. He is very professional and has a unique talent with metal repair and dealing with customers. I will certainly use this company in the future. My thanks to them! I just want to thank Brad for coming out at the last minute to fix a dent on my car. He was professional and prompt. A huge Thank You to Brad and Jake. Brad was wonderful to deal with and Jake is incredibly talented. I had a pretty good sized dent in the rear hatch of my 08 Tahoe LTZ but Jake came out on a Saturday and by the time he left you would never know there had been a dent. Awesome job guys and Thank You again!!! Very prompt service and the guy that came out was up front and professional. Thank you for taking the dent out of my car. I just want to thank you for a truly professional job that was done on my car. I had a dent in a tough place on my door. Your technician took his time and found the best way to make the repair. I couldn't be happier with the repair. Totally unseen. Should I need your services again, I will certainly call your company first. Professional work at a very reasonable price. Thank you again. I will definitely go back to Platinum Dent Repair for any dents on my car. I was told by another company that it wasn't possible to remove the dents but Brad was able to do it. Thank you so much for getting the nasty dents out of my vehicle. Brad was very professional and prompt and made sure that I was satisfied with the results. I just wanted to thank Brad for working on my 2007 Hyundai Sonata! I had a fairly large dent in the driver's door up by the pin striping. Someone had opened their car door and smashed into mine! Brad did an excellent job getting the dent out. He was prompt, very friendly and was finished in 30 minutes. I would highly recommend him to anyone wishing to improve the look of their vehicle. If you would like a free estimate or more information, please fill out the form below. One of our technicians will be in contact with you as soon as possible.